Beautiful Incentives: Wow! $15 Duvet Set on Brads Deals! Wow! $15 Duvet Set on Brads Deals! 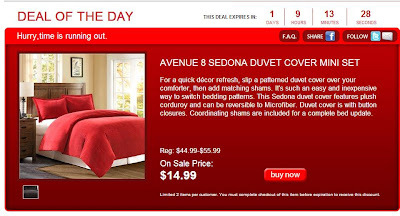 $15 Duvet with Shams included!